Yesterday was a very special day for me at Pixar. We celebrated the 10-year (and 20-year) anniversary of everyone who joined Pixar in 2002 (and 1992). Pixar does this every year, recognizing the passion and commitment of its employees in a special way. We had a lunch, an awards ceremony and a gathering afterwards for friends and family. We each received a little Pixar 2013 Anniversary Wards photo album as a keepsake. The first page inscription is a quote from the late Steve Jobs: “The talent at this company is unbelievable. It’s the densest group of really brilliant people I’ve ever seen in my life.” I’m am so honored to be part of this great company! 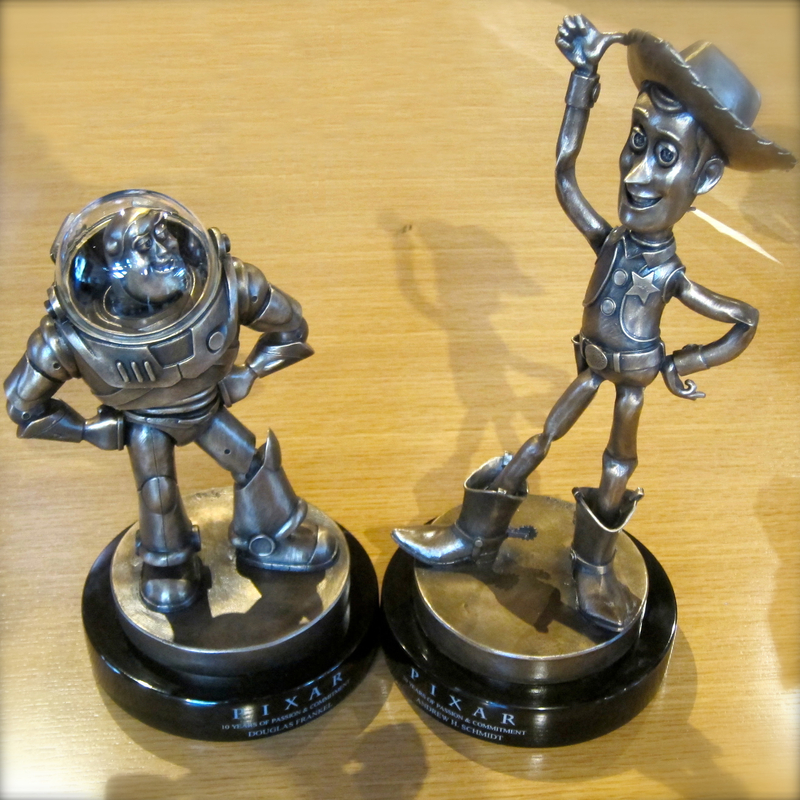 Each of us received a bronze statuette, Buzz Lightyear for 10 years of service and Woody for 20 years of service. This year, there were 68 recipients of the 10 year award, and only one 20 year recipient.